March in Belgrade is always beautiful, and month which announce end of the winter and coming of lovely and warm spring. Weather is beautiful, average temperature is around 18 degrees, which it makes perfect for some of the outdoor activities. People are getting more active after long and cold winter. Walking around Belgrade during this beautiful weather is always a good choice. 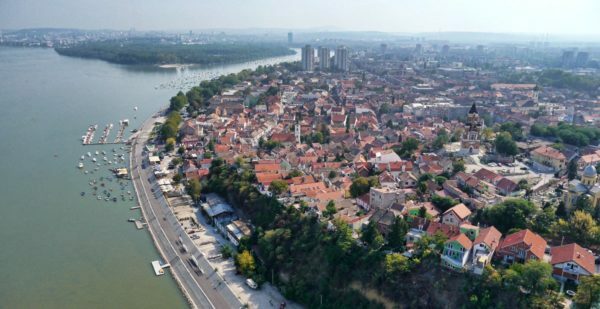 Choose one of the 3 most popular Belgrade‘s areas for having a long walk. First one is located in New Belgrade (municipality of Belgrade), with many river rafts, bars and restaurants. Second one is located in Zemun, one of the most beautiful parts of town. Good to know: Zemun was a separate town that was absorbed into Belgrade in 1934. Third option is in the the city center, in Savamala district. Savamala is partly mainstream place, but still, it is best known as an art colony and hipster like place to be. You can find fusion of urban and underground in one district. During your walk along Savamala, you will find Beton Hall. 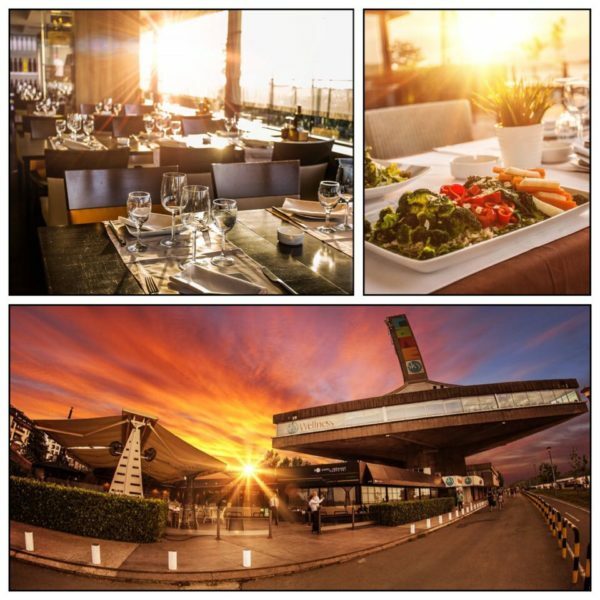 In a row, next to each others you will find restaurants with a view across the river. At the line up, you will find bunch of restaurants, and among them the most popular are, Ambar, Toro, Hush – Hush and Sakura. If you continue to walk, you will reach sport center called “25. Maj”, which is one of the most beautiful and interesting buildings from the communist era. Center for Sports and Recreation “25 May” was officially opened in 1973, by the president Josip Broz Tito. The idea of ​​building a sport center stemmed in 1961, but the first foundations were built a decade later. Now is a one of the best sport facilities in Belgrade, especially because of indoor and outdoor swimming pools. On the top of the building, you will find one of the most popular gyms in Belgrade – SkyWellness. This gym is powerful, full of positive energy and is a favorite spot in town when it comes to quality training. Also, in this area is one of the most popular restaurants in Belgrade: Panta Rei. Starting with the location overlooking beautiful Danube river. Breathtaking view is just a part of greatest atmosphere. Glass walls are giving the complete sensation while you are spending time in this brown and beige ambient. Friendly and professional stuff will make your stay unforgettable, and with international menu and wine card you only can wish for. Lets don’t forget famous Ada Lake, better known as Belgrade’s sea. Green spaces, many sport facilities, some of the best running tracks, and even better beach bars! During spring, you can find many Belgraders here, sipping coffees during the day, riding their bicycles (for renting bicycles click here), or hanging around the lake. Last but not the least, popular activity here is definitely wake-boarding. Regarding the events in March in Belgrade, definitely the first one is Woman’s Day. Belgrade is perfect choice if you want to surprise your loved one. Picnics are above any other romantic gesture. Belgrade is full of beautiful parks where you can spread your blanket, and put your picnic basket. Kosutnjak and Zvezdara forest are perfect choices to spend your day in the nature. Nature, greenery with a bird singing are perfect runaway from city, without leaving it. You can always find a perfect spot for intimate chit-chats. March in Belgrade is also important for preparing the summer club season. Popular Belgrade River Clubs are renovating their interiors, and preparing for upcoming season. Soon, we will announce new and hot openings of brand new popular clubs in Belgrade.